Emoticon with tears of joy. Laughing emoticon with tears of joy. Laughing emoticon with tears of joy. Vector illustration isolated on white background. 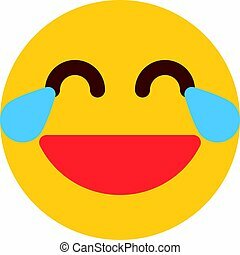 Laughing emoticon with tears of joy isolated sign. Lol yellow emoji symbol. Social communication and internet chatting vector element. Happiness smiley face with facial expression in flat style. Laughing emoticon with tears of joy icon thin line for web and mobile, modern minimalistic flat design. Vector white icon on gradient mesh background. Laughing emoticon with tears of joy icon thin line for web and mobile, modern minimalistic flat design. Vector dark grey icon on light grey background. Laughing emoticon with tears of joy icon thin line for web and mobile, modern minimalistic flat design. Vector icon with dark grey outline and offset colour on light grey background. Laughing smiley with Tears of Joy. 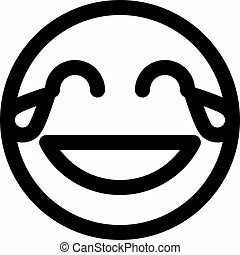 Happy cartoon emoticon. Emoji face laugh and crying. Puzzled emoticon with shrugs shoulders expressing luck of knowledge. Don’t know gesture. Lying face emoticon. Emoticon with long nose indicating the telling of a lie. Flirting emoticon leaning against wall with an expression of hey good lookin?